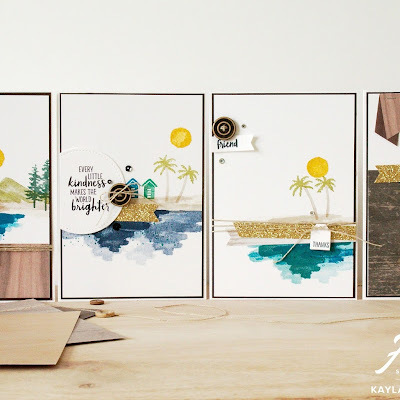 I am back again with another Monday post sharing one of my Christmas card creations. 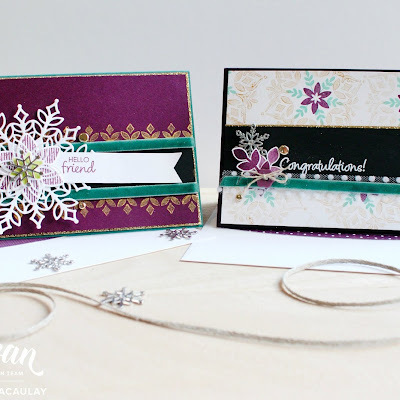 I absolutely love the Candy Cane Lane collection and the Designer Series Paper is absolutely gorgeous. 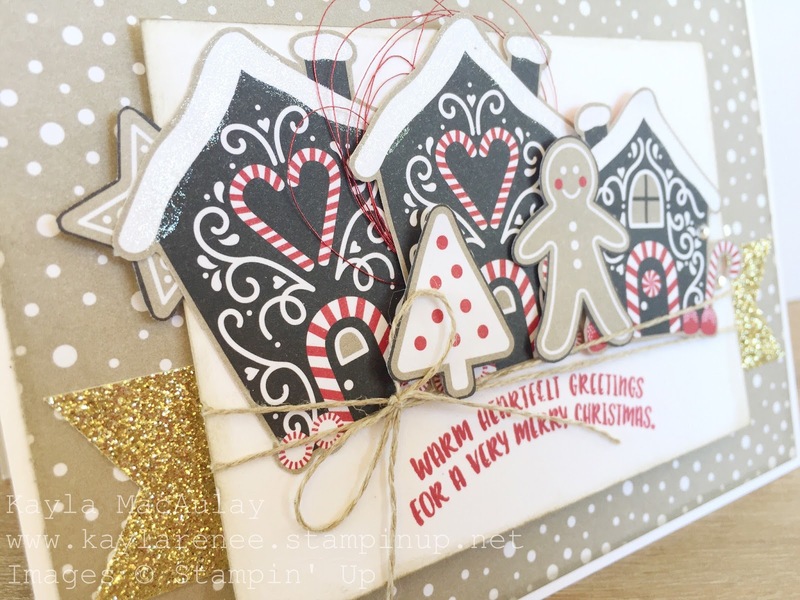 These gingerbread houses are absolutely adorable and are one of the gorgeous motifs featured on one of the papers. I have cut them apart to create this gorgeous little gingerbread house village. 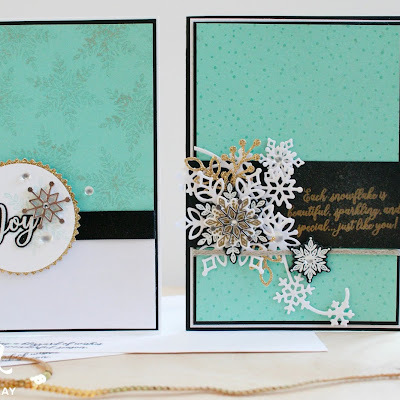 I hope you enjoy this look at another card created in my Christmas Card series. I have popped up the middle white panel on dimensionals and placed some gorgeous gold glimmer card behind as another accent. I find that varying the textures and dimensions on the card really gives it a lot of interest. I have used one of the stamps from the Cookie Cutter christmas set for the gorgeous greeting which I have stamped in real red. The actual stamp is straight but as it is photopolymer I was able to curve it on the block to create a curved sentiment. As usual I am a bit addicted to my linen thread and metallic thread. I love the interest and texture that it provides. Once you get the hang of wrapping it around your fingers and adhering it, it's simple. In this case I adhered the metallic thread to my dimensionals on the back of the middle gingerbread house. You can find all the supplies below.